Home to ancient Mayan ruins, glorious blue cave pools and some of the world’s most spectacular rock formations, it is little wonder why many travellers flock to Mexico. This diverse country is quickly becoming one of the world’s most popular cruise holiday destinations, particularly the likes of Cabo San Lucas, Puerto Vallarta and Ensenada on the Mexican Riviera. In this article, we’ll look at the best natural attractions in Mexico to help you get inspired for your next holiday. 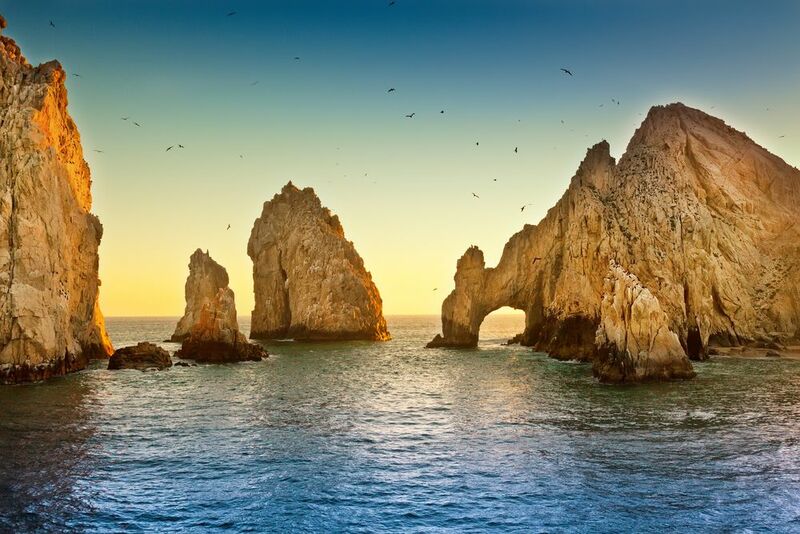 On the southern tip of one of the most popular cruise destinations in the country, the Arch of Cabo San Lucas is surely one of the best natural attractions in Mexico. This striking rock formation, known locally as El Arco, was formed over millions of years by winds and tidal forces in the Gulf of California. It is perhaps the most photographed location in Baja California, the Arch of Cabo San Lucas a popular meeting spot for sea lions, and tourists. Be sure to have your camera ready and take a dip below this beautiful limestone rock. Staying close to the Baja Peninsula, Espiritu Santo Island is the 12th-largest island in Mexico. 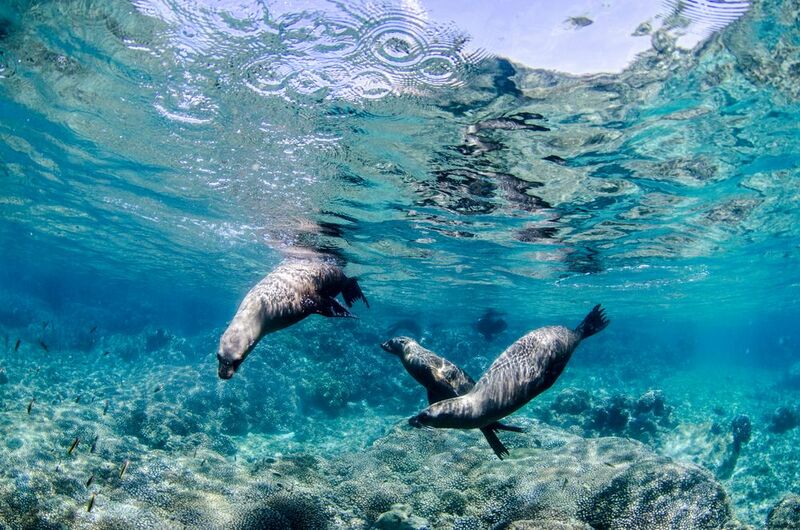 A short boat trip from La Paz will take you to its crystal clear waters, which are abundant with marine life. It was declared a Biosphere Reserve by UNESCO in 1995 and its surrounding reefs are teeming with parrotfish, angelfish, rays, turtles, dolphins and whales. Birdwatchers should look out for brown pelicans, great blue herons and hummingbirds. To witness a spectacular gathering of millions of colourful butterflies, head to the Monarch Butterfly Biosphere Reserve. 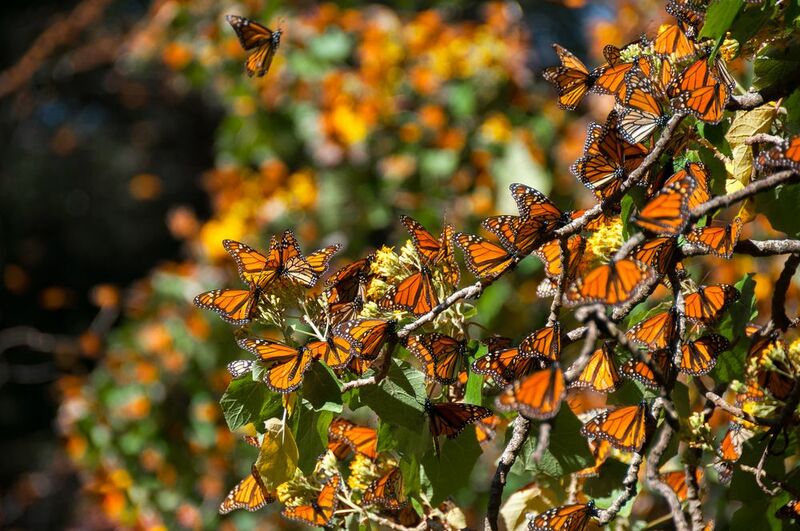 The site welcomes masses of Monarch butterflies travelling south from North America over the winter. 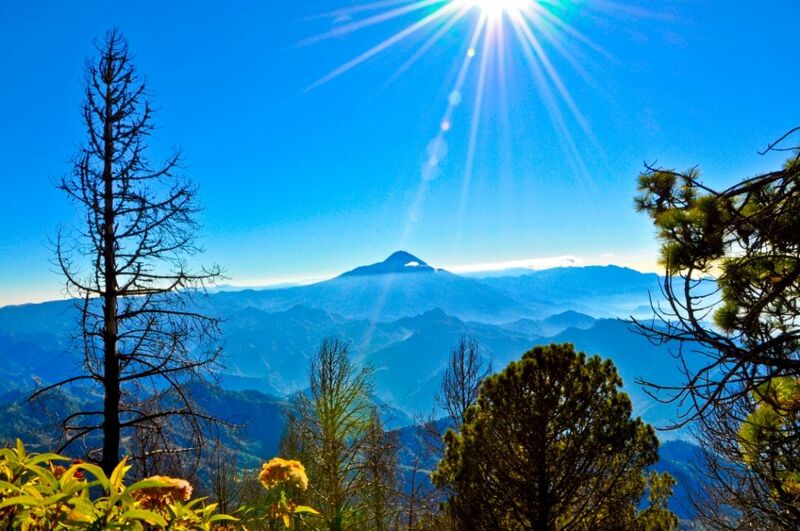 This majestic natural event takes place on the border of Michoacán, northwest of Mexico City, and the best time to visit is between November and March. Volcán Tacaná is the second highest peak in Central America, standing at 4,060 metres. This majestic mountain can be found in the Sierra Madre de Chiapas in southern Mexico. Its last known eruption was believed to be in 1986, however the volcano is still considered to be dangerous to the community of some 250,000 which live in its shadow. Volcán Tacaná can be found 170km north of the cruise port of Puerto Chiapas. If you’re seeking a mysterious waterfall surrounded in an exotic forest, look no further than Magic Falls in Huatulco. Just 40km from the cruise port, the falls cascade into a pool of crystal clear water, with tropical plants and flowers all around. In the area there are 30 waterfalls to explore and swim in, with rope swings for the more adventurous. 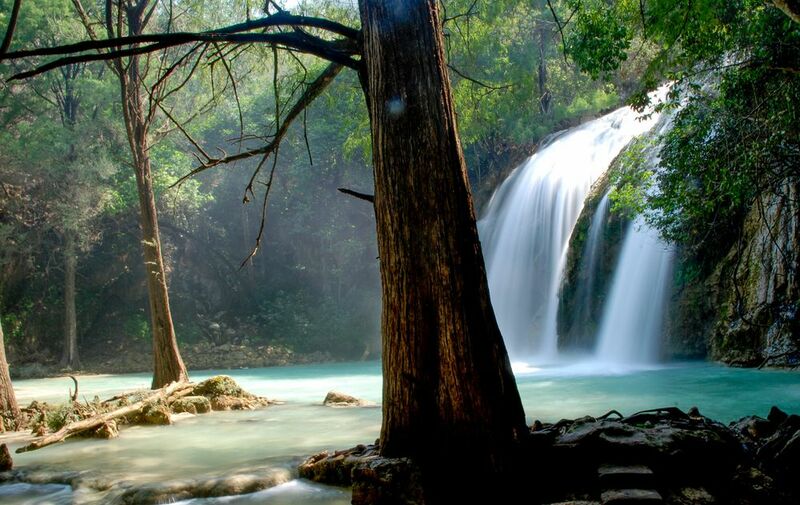 Once you’ve witnessed Magic Falls, we’re sure you’ll agree they are one of the best natural attractions in Mexico. 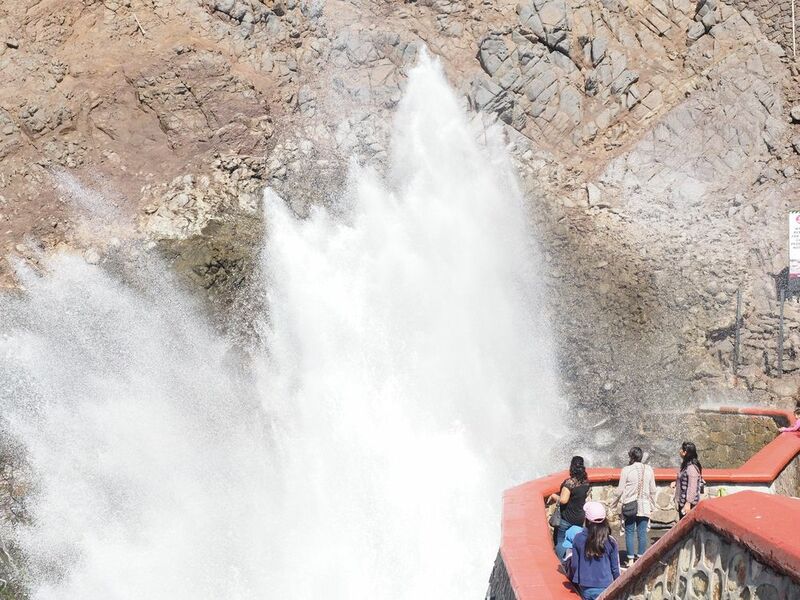 In Ensenada, one of the best day trips from this vibrant town is La Bufadora – a dramatic blowhole. Legend has it that many years ago, during a migration, a gray whale passed through the bay of Ensenada and got separated from the group. It wound up stuck between the rocks and as a cry for help launched jets of water into the air to alert the fellow whales. The story goes that the whale turned into stone and merged with the rocks to form La Bufadora. “We loved living in Ensenada. We lived at Hotel Coral & Marina on our sailboat for 6 months prior to our 3.5-year sailing cruise of the rest of Pacific Mexico and then we stayed at Cruiseport Marina for a month. At the end of our cruise we returned to San Diego to sell our boat. 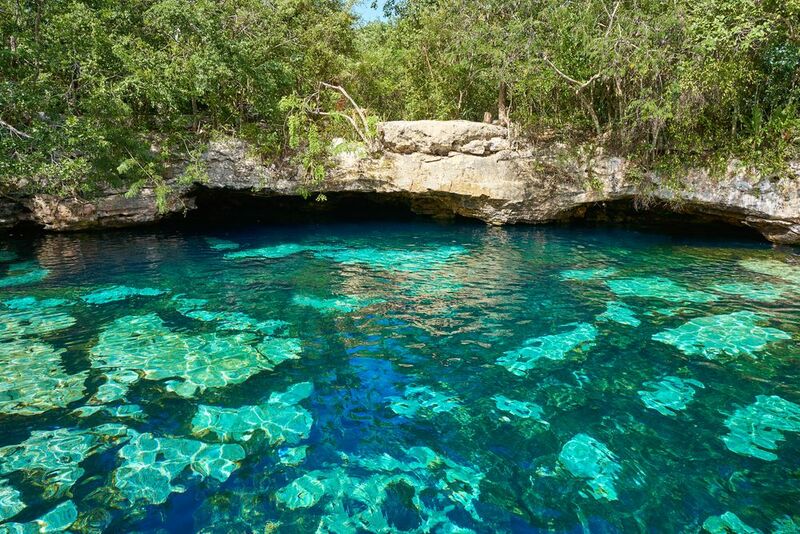 One of Mexico’s most popular natural sights are its cenotes, or underwater sinkholes. These caves of beautiful turquoise water offer the perfect swimming spot for those hot, sunny days. Cenotes are formed by the collapse of limestone bedrock exposing ground water below. The result is a magnificent pool of blue water, surrounded by flora and fauna. 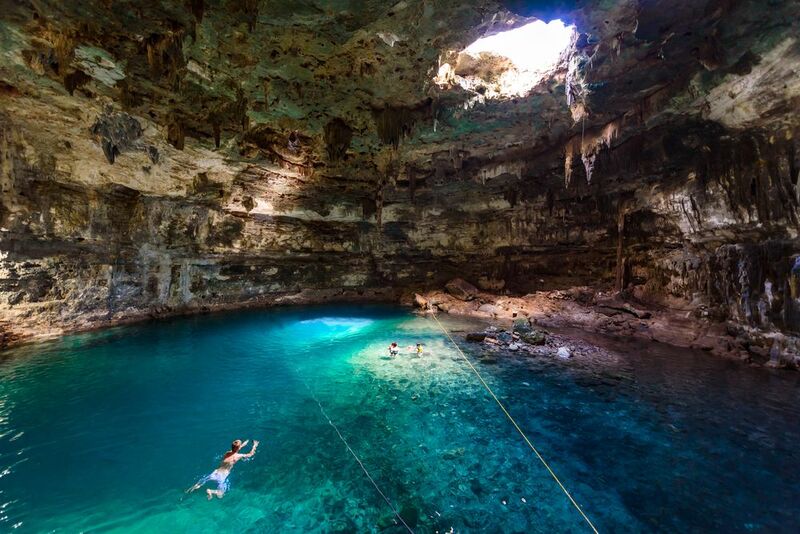 The state of Quintana Roo on the Yucatan Peninsula is perhaps the most famous spot to visit cenotes. 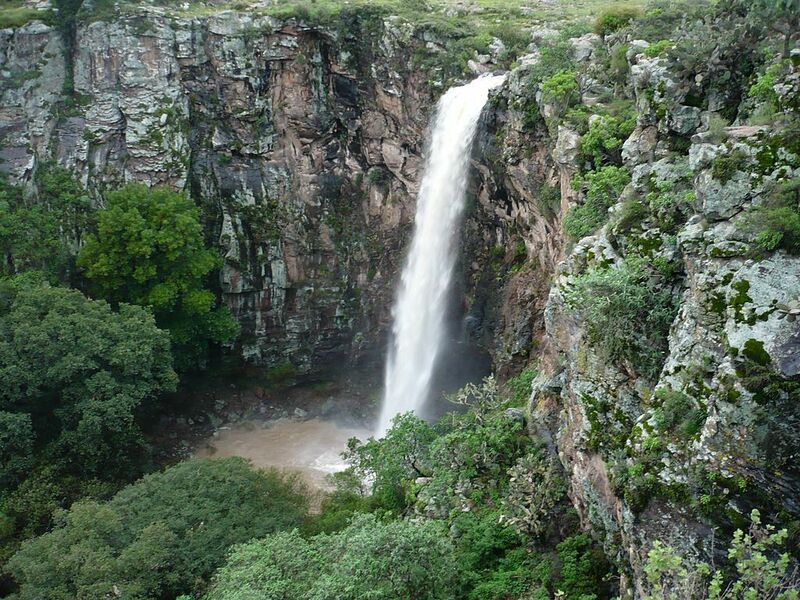 Relatively unknown to many tourists, El Salto Canyon and Waterfall in Baja California is an oasis in the desert climate. The hike to the falls is fairly easy and follows the riverbed of the Guadalupe River towards the Pacific Ocean. In the spring, wildflowers are in full bloom, and in the summer, you can take a dip in the waterfall pools. El Salto Canyon is only 35km from the cruise port of Ensenada. 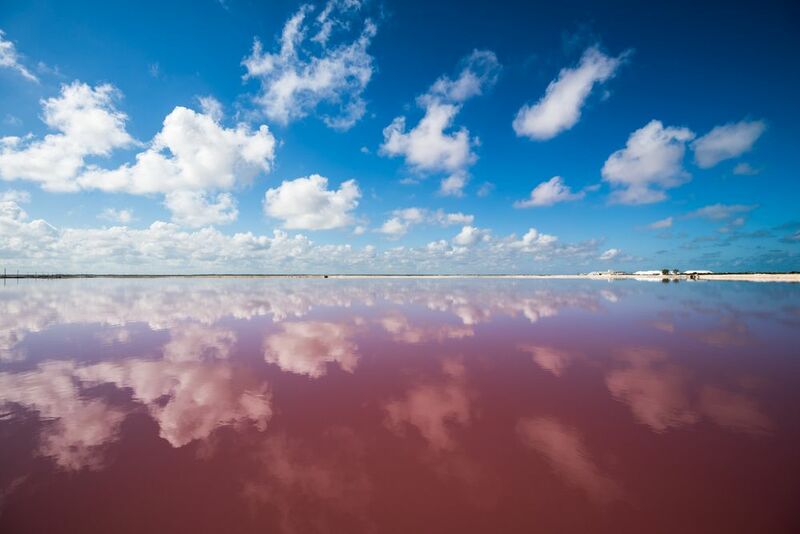 The salt lagoons of Las Coloradas in Mexico’s Yucatan region are one of the country’s most photographed sights. The perfectly pink lakes, or Las Coloradas meaning ‘the red’ in Spanish, cover the landscape on the edge of the Gulf of Mexico. They form part of the Rio Lagartos Biosphere Reserve, which is home to flamingos, crocodiles and sea turtles. The pink lakes formed as a result of salt production, and the colour is due to red-coloured algae, plankton and brine shrimp which thrive in the salty water. As the water evaporates in the hot Mexican sun, these little creatures become more concentrated and shine bright pink. If you’re hoping to visit Las Coloradas, which is also home to a quaint village, your best bet is to travel from Cancun or Playa del Carmen. 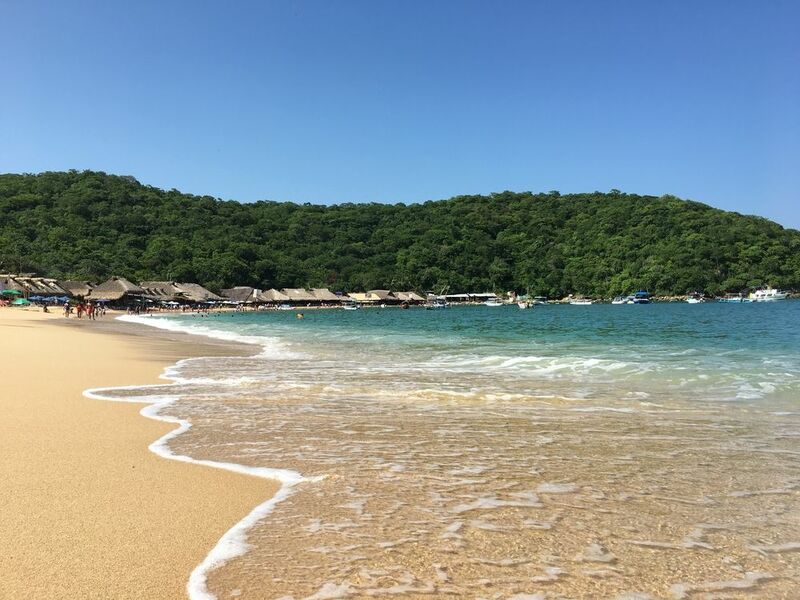 Situated beside the cruise port of the same name, Huatulco National Park was declared a Protected Natural Area of Oaxaca in 1998 and covers a massive 27,000 acres. Hundreds of species of plants and animals call the park home, so you’ll hear the chirping of many different birds as you explore. If you’re spending a day in Huatulco National Park, you might even spot an armadillo or white-tailed deer. Once you’ve disembarked your cruise ship in Huatulco, an hour’s walk will lead you to the edge of the park. If you’re feeling inspired to check out some of these excellent natural sights in Mexico, take a look at our cruise holidays to the Mexican Riviera.